JMS Mega-TROUGH (Trough Systems) are custom made in-house for use in both water and wastewater treatment applications. In circular form for use as effluent troughs in clarifiers, and straight orientation for sedimentation basin uses they provide maximum longevity for water management and control. Available in stainless steel or aluminum they can be supplied with either a multi-tangent round bottom, or flat bottom to suit the particular process. 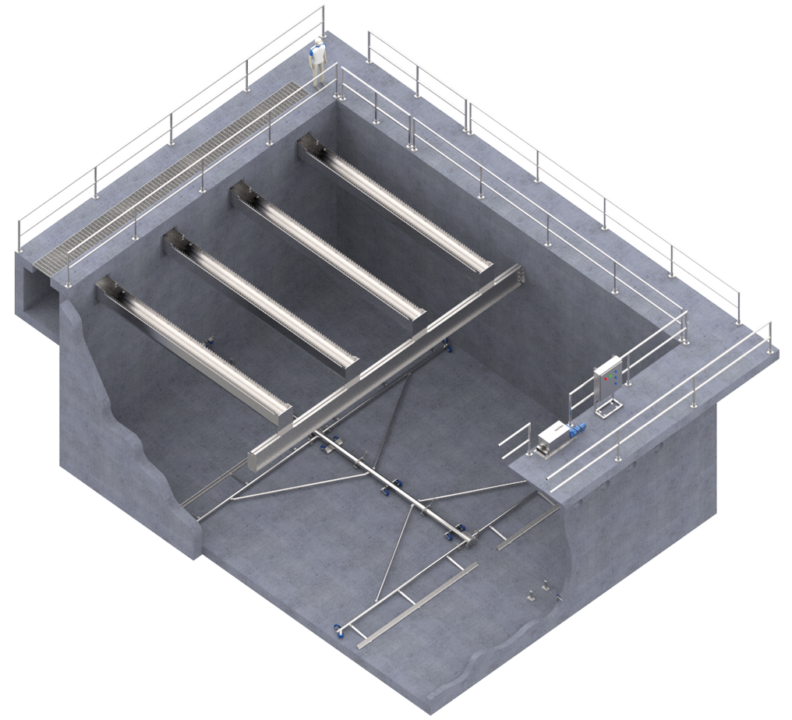 JMS takes special care to design each Mega-TROUGH (Trough System) to support vertical and lateral loads, and provide the stability needed to meet stringent deflection limits. The addition of cross stiffeners prevents buckling and vibration, and provides maximum resistance to loading on the sidewalls of the trough.